Choose one or more of the below options to help enjoy some natural pain relief. If you watch the news at all, you have no doubt heard about the opioid crisis in America. The stats are alarming, and just one of them is that in 2016 – every day! – 116 people died from overdose. That’s over 42,000 people IN ONE YEAR. WOW! I think we can all agree there must be a better way. Although I don’t have all the answers, I am no stranger to pain. At age 12 I had metal rods placed in my back due to scoliosis. They still cause me pain frequently, especially as I get older. At age 25 I had my gall bladder removed. That was painful and has caused other problems along the way. I have had 2 children and 2 very painful pregnancies because of the metal rods in my back. I have had ongoing knee pain for 10 years. So I totally understand pain. But I also understand that prescriptions are hard on people’s bodies and come with side effects. I am not saying these solutions listed here will work for everyone, but I can say that they have worked for me and many other people. Let’s have a look at some natural pain relief and see if you might find something that works for you too. Arnica is a little yellow flower that has been used for centuries to help with sore muscles, bruises, and to help speed recovery from surgery. It comes in two forms – tiny little pills that taste like sugar or a gel that you can rub on the affected area. It has been wonderful for my back and knee pain. There are many kinds of essential oils that help with pain, and the more I use them, the more I am pleased with the results. Always use a good quality one, not one from Amazon that may be watered down, toxic, or made in China. Helichrysum essential oil is a beneficial pain reliever I have used for a long time now, especially for my knee. I always take it hiking with me just in case my knee acts up. And it has always helped me the times I have needed it. Deep Blue is a doTERRA blend that gives a little tingle due to the wintergreen in it, which is the main ingredient. It can help when used before or after exercise or for children’s growing pains. Turmeric essential oil is great because it reduces swelling, which can often be associated with pain. Copaiba essential oil is a great antioxidant and supports the nervous system, so it has been known to help with pain as well. Frankincense has a warming and soothing effect, so it can relieve tension and pain as well. And CBD oil is good for pain and swelling, so I add a few drops of this in my roller bottle as well. I use bone broth and collagen for joint discomfort, and for me at least, it works better the longer you use it. For the broth, I make 1-2 chickens in our crock pot every week, eat the meat, then put the bones back in the crock pot for about 20 hours to simmer in water to make broth. You can read more about how I make my bone broth here. For collagen, I put one scoop in my coffee every morning. I have tried different ones, and the best one in terms of taste and efficacy is Dr. Axe’s Multi Collagen. It has helped my joints, but has also helped skin blemishes as a nice side effect! is inexpensive and easy to find, and who doesn’t love a nice warm bath when they have aches and pains? I add 5-6 drops lavender, peppermint, or some of the essential oils listed above to my Epsom baths to ease pain. The magnesium draws out toxins, so you need to be in the bath at least 20 minutes for it to work its magic. Using heat or cold to ease pain is the old standby, and is often effective especially if you keep with it. I prefer heat because I hate being cold, but if I can deal with it (wuss that I am) the best advice that I use is to do a combo of heat/cold therapy. Start with 1 minute cold, 3 minutes hot, 1 minute cold, 3 minutes hot, 1 minute cold, 3 minutes hot, and finish with 1 minute cold. These are my favorites that I have used over the past few years. This cold pack and heating pad work well. I have only recently been using CBD oil for pain and sleep. I can’t say I have used it enough to know for sure it’s working, but so far so good! This organic CBD oil has <0.3% THC (less than the federal limit), so it is Non-Psychoactive/No High. There are several different ways to take CBD including coffee, lotion, and oils. Comment below to let me know what forms of natural pain relief works best for you! And please don’t forget to share this helpful information on Pinterest or with your friends. I love all of these remedies. I’m a big Epsom salt bather and love Arnica. I’ve heard great things about CBD too! Thanks, Kelly! I am so glad some of these work for you, too. Appreciate the feedback. I love using epsom salt baths for my back but for those tough days nothing beats a massage. 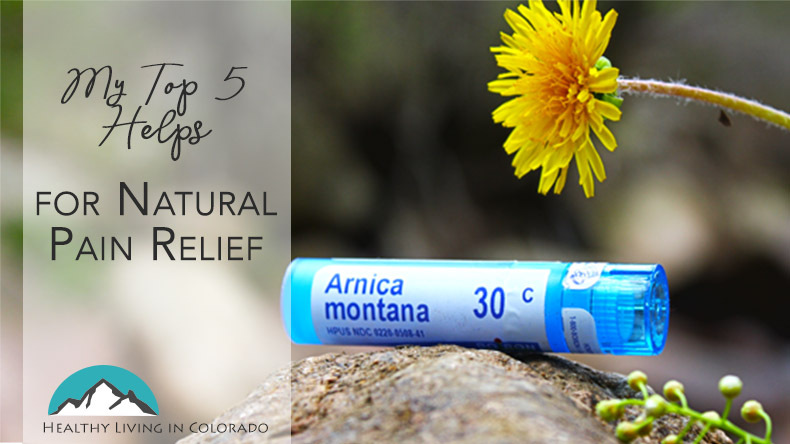 I love arnica for bumps and bruises (especially for my kids). I also do collagen and bone broth as well for general inflammation. My favorite though is CBD lotion! I sometimes get neck pain from working too long in front of the computer and it is a lifesaver! That’s great, Chelsea! I am so glad these things are working for your family, too! Thanks for sharing with us. A cup of tea with lots of ginger and turmeric always helps my headaches. Oh, that is so good to know, Vladka! Thank you for sharing this great idea! I LOVE Epsom salt baths with essential oils. 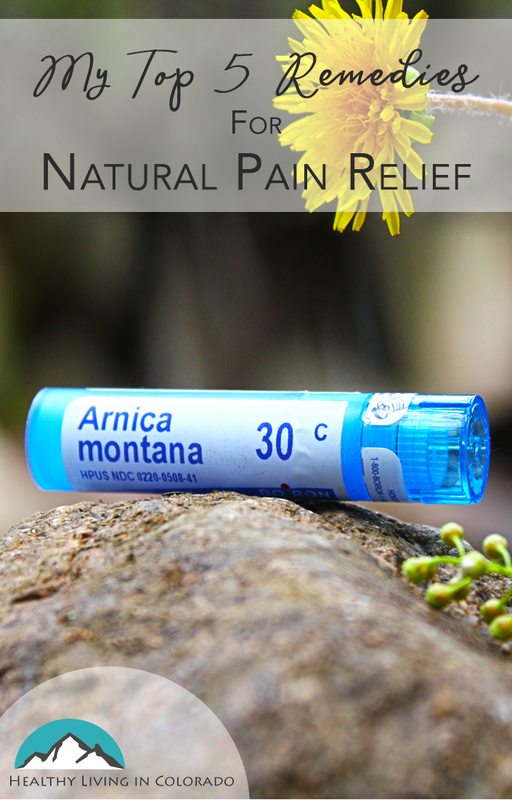 We also use arnica from time to time. Yes! We love Epsom salt and oils too. So relaxing and healing! Dance season has started in earnest at my house so these ideas will be great for the kids! Haha! Great! I’m glad it was helpful for you… and the kids. I have heard of Arnica but haven’t ever tried it. I take collagen in my morning coffee as well and always hit the hot/cold regimen when I have any sort of pain. Thankfully I don’t suffer from any chronic pain but I do have pain from time to time in my back. I’m going to try the Arnica gel next time I need something. Thanks! These are so good to know about. I have used arnica before, but the others I am less familiar with. I have more recently been trying CBD, but once I have something like a migraine, I can’t seem to find something to treat it naturally. Oh, yes. Migraines are difficult for sure! I have another blog post that may be helpful to you on this topic. https://healthylivingincolorado.com/best-essential-oils-for-head-tension/ Thanks for the comment! I didn’t see do one of these help with headaches. I get headaches off and on nothing terrible but due to history of ulcers and crohns can’t take any NSAIDS. 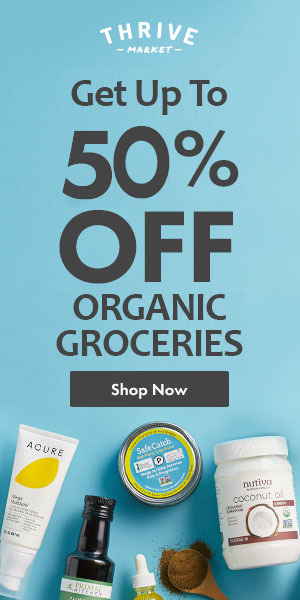 These are great natural options. I love epsom salt baths, it’s like you can feel the pain seeping out of you! Thank you for sharing. I use some of these techniques quite a bit and they are so helpful. These are great medicine-free pain relief solutions! There are so many reasons why people sometimes need to seek alternative to traditional medications. My favorite is epsom salt. A good soak helps me so much. I like the ideas. I have a lot of joint and muscle pain .A lavender Epsom salt bath sounds heavenly! It is! Help yourself and feel better. arnica is one of my favorites. I used it when I broke my foot and it was AMAZING at how fast the bruising and swelling went down. That’s amazing!! So glad to hear it. I LOVE natural remedies that work so much! My husband is allergic to NSAIDs so we have no choice but to try natural alternatives. We have no idea Epsom Salts can help but will definitely keep this in mind. I hope the Epsom salt bath can help him when needed! we use epsom salts for foot baths and it is such a relief to soak our feet and feel that pain dissolving in those waters..
I’m probably only alive because of the savior that is Epsom salt! I made it a rule to do a foot soak at least once a week (preferably daily) with it! I’ve been really curious about CBD oil, I’ve been hesitant because I’m job hunting and would rather not be using it and then get drug tested, but between anxiety and chronic migraines its tempting! Great list, thanks for sharing! Oh, wow! 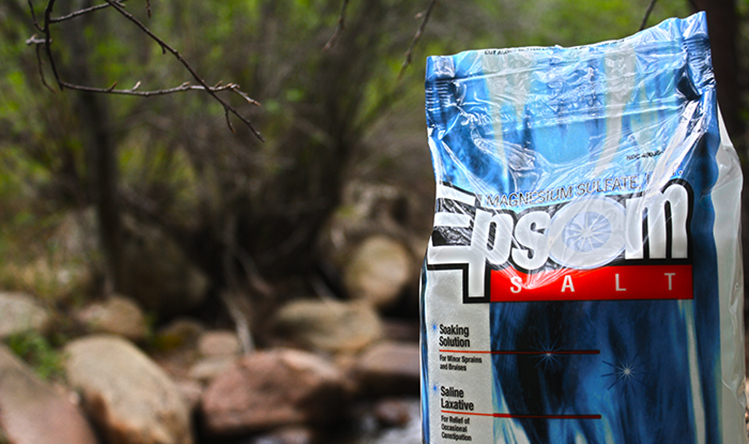 That’s dedication to Epsom salt soaks! My CBD company makes one with 0% THC, so it should not show up on drug tests any more than eating hemp seeds would turn up. Please just let me know if you have any questions!